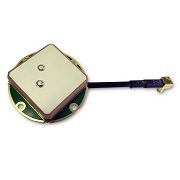 The wideband dual feed patch element in the TW1600 has an excellent axial ratio across the entire Iridium bandwidth. 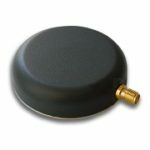 Unlike single feed antennas, the TW1600 provides excellent multipath rejection and a truly circular transmission response across the Iridium band. 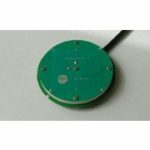 The TW1600 includes a built-in 35mm circular ground plane but best performance is obtained with this augmented with a local system ground plane or reflecting surface (DC connection not required).